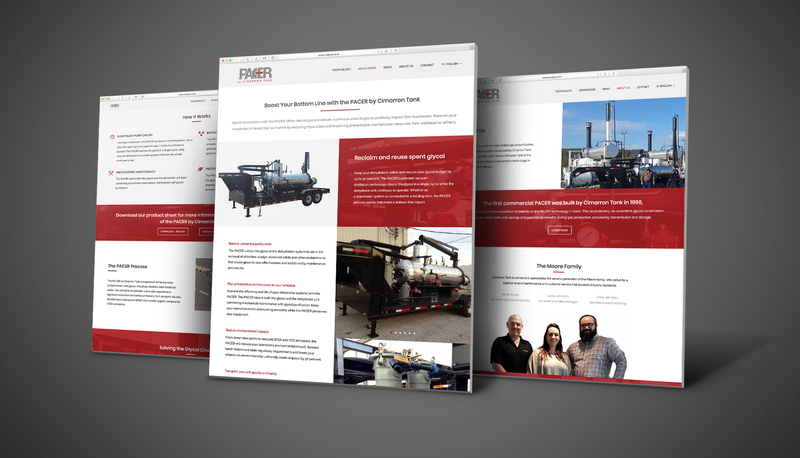 The PACER is a built-to-order mobile glycol purification and reclamation system developed by Cimarron Tank. Founded in 1976 by John Moore, Cimarron Tank is the leading producer of glycol reclamation technology in the natural gas industry. The PACER by Cimarron Tank is capable of removing many contaminants from glycol, including chlorides, total dissolved solids, iron and light condensate. Users also experience a significant reduction in chemical emissions from benzene, toluene, ethylbenzene and xylene (BTEX) and volatile organic compounds (VOC) emissions. 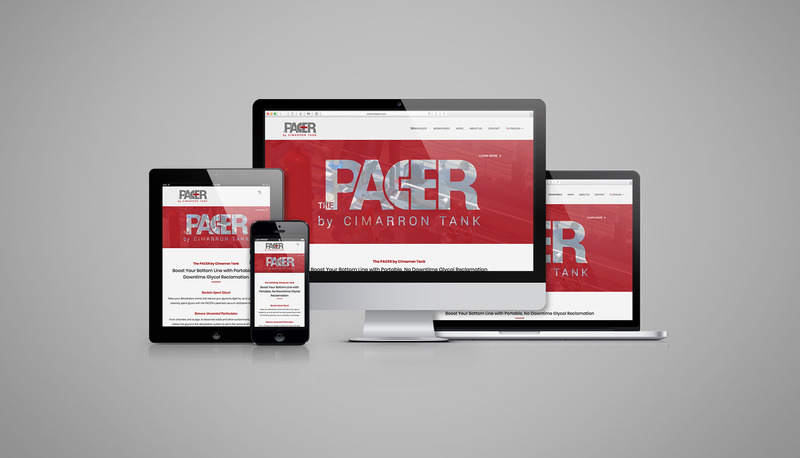 The first step in relaunching Cimarron Tank’s product, the PACER, to market was creating a stand-alone product brand. The PACER by Cimarron Tank brand logo was built with design elements that are reflective of the parent company logo, while also having its own distinct look and feel. Whether used in full color or a single solid brand color, the logo clearly communicates both the company and product name, and match the branding on the website.